A US government report says that by 2030 carbon pollution will grow by 40 percent, much of it to come from China and India. Their growing economies will prove the biggest threat to the atmosphere which is facing huge concerns of depletion. According to the report there will be substantial growth in the use of renewable energy sources such as hydropower, wind and solar, the report said. But it also said overall growth in demand will require continued reliance on fossil fuels, especially oil and coal. President Obama is taking this quite seriously and thank God for that keeping in mind all the ice caps of Greenland that is decreasing as we type. Congress is considering legislation that would reduce greenhouse gases by 17 percent by 2020 and about 80 percent by mid-century and Obama has called for mandatory limits on greenhouse gases. 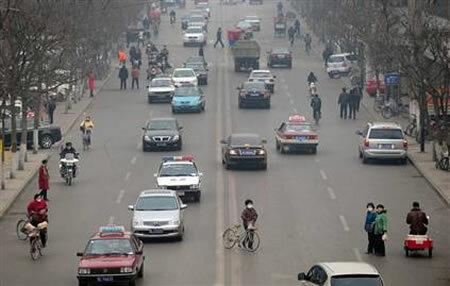 An international conference is scheduled for December to try to work out a treaty requiring such emission reductions. From your part, you can try and reduce this by choosing eco-friendly products and walking more. It not only reduces the fat but also carbon in the air.